A burglar who distracted an elderly lady, stole her purse and later withdrew money from her accounts has been jailed for five years. On August 4, 2015 Sean Whiting (34), of St Peter’s Walk in Yaxley, visited a property in Alwalton asking for sponsorship for an event to raise money for a cancer charity. The victim, who is in her 80s, agreed to sponsor Whiting and three days later he returned for the money. On his return Whiting asked the victim for a glass of water and while she was distracted stole her purse containing £50. 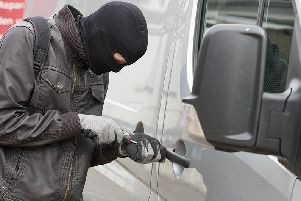 The following day an additional £380 was withdrawn using the victim’s bank cards. Whiting pleaded not guilty, but the trial was delayed due to the victim being unwell and unable to give evidence. On Friday (December 16) at Peterborough Crown Court Whiting was found guilty of burglary and theft. He was sentenced to five years in prison.